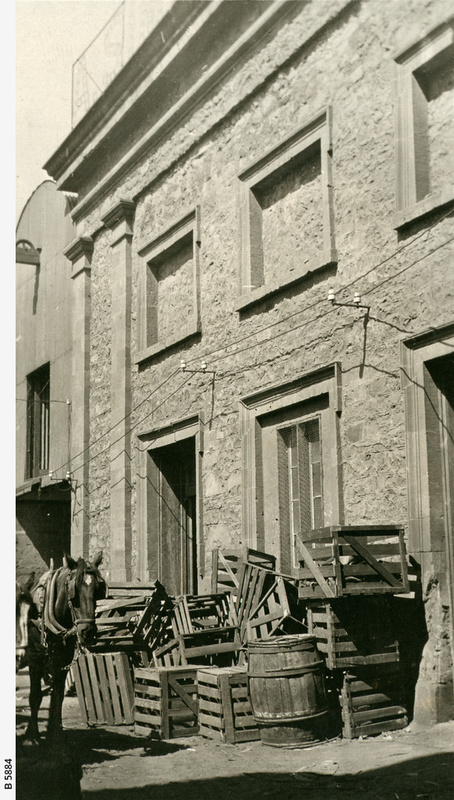 [General description] A pair of harnessed horses stand patiently near a pile of wooden crates and a barrel at the eastern door of the old Congregational Chapel. See B 5882. [On back of photograph] 'Acre 205 / Old Congregational Chapel / Gawler Place / eastern front / 1923 / For exact site see B 1206'.